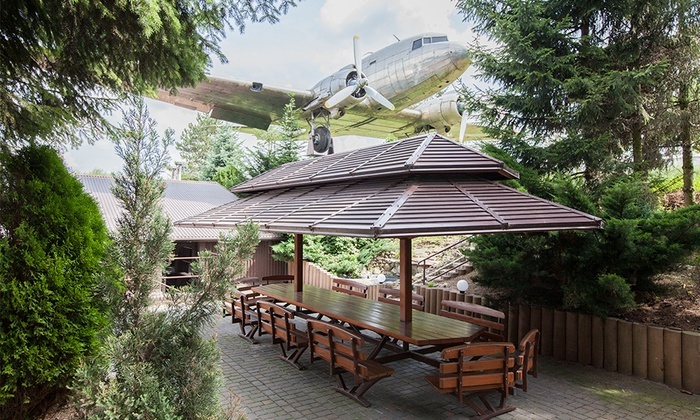 Outside the restaurant you can admire an amazing Dakota DC3 bomber from second World War which proudly shines and drops its shadow on the restaurant. The bar menu serves typical dishes from Polish cuisine. Our hotel guests can get full board for extra fee.